At Ascent Adaptation, we consider that the human body is a complex system with a multitude of moving parts; if one breaks, the rest will begin to malfunction as well. How can you improve your fitness? There are many strategies you can use, including diet and workout routine and we believe that our BEMER holds a special place in this context. To expand on your physical attributes, you need knowledge, work, and a great deal of commitment. But we are talking about spending money, a lot of time, and consistent efforts along the way, which means not everybody can do it. Whether you are a pro athlete, or just someone looking to get in shape and look and feel better, our Bio-Electric Magnetic Energy Regulation is perfect for you. This device will boost your body’s internal functioning, for incredible long-term benefits. You shouldn’t consider as a treatment for any type of disease, but you should see it as the ideal preventive mechanism. As your body and mind will become fitter, stronger, and more resilient, you will become impervious to a wide range of health issues, which prey on people with dysfunctional or weak biological defensive systems. It is an innovative technology that shows great promise for the future. The process behind it is fairly simple – all that the device does is to increase the efficiency of the body’s circulatory system with the help of an electromagnetic waveform. The blood carries oxygen and essential nutrients through the body which will not only nourish the organism but drastically improve the physical condition. During intense physical training, your muscles burn oxygen and the more effort you put into it, the more oxygen you’ll need. The success that we’ve achieved with our clients show that the device is highly effective in regulating the body’s internal processes. An 8-minute session will trigger the body’s response immediately, increasing the blood flow and raising the energy levels. For optimal results, you should use the device twice a day for as long as you can. Regular sessions will enhance the benefits, allowing you to experience 18 hours of physiological boosts over time. We consider the BEMER to be part of a life-transformation procedure that you can’t afford to miss. It will help you become stronger, more resilient and energetic, and physically and mentally sharp. 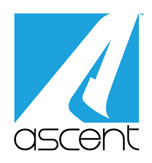 If you’re interested in the procedure, contact us, at Ascent Adaptation today! We’ll schedule you for a session immediately!